When tourists in Paris visit a popular website to find information on concert venues, the entry for Le Bataclan, now known globally as the site of last month's terrorist massacre, proclaims "Edith Piaf sang on this mythical stage". Of all the artists who've performed at Bataclan since 1864, the fact that Piaf was singled out is a tribute to the enduring charisma of "The Little Sparrow", whose most memorable ballads include La vie en rose and Non, je ne regrette rien. Piaf died in 1963 at the age of 47, and December 19th marks the 100th anniversary of her birth. In addition to various events in France, New York's Town Hall will host a major centennial celebration of the singer and her music on that day, featuring the American Pops Orchestra and stars from Broadway, London's West End, and the worlds of jazz, rock, and cabaret. 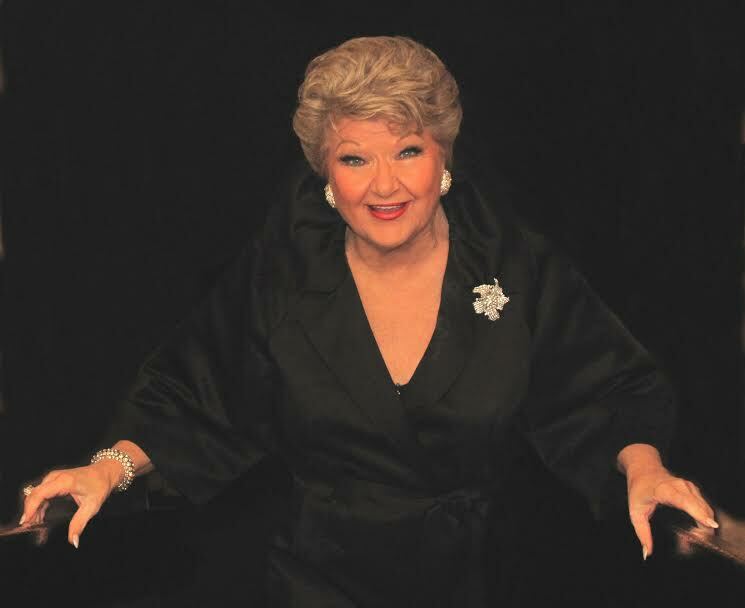 One of the featured singers will be Marilyn Maye. At the age of 87, Maye has been called the "reigning queen of American cabaret", a genre in which she's been performing for seven decades, along with stints in musical theater. She came to national prominence through her RCA recordings in the 1960s, which led to an unparalleled 76 appearances on Johnny Carson's Tonight Show during his thirty years as host. I spoke with the warm, witty and constantly busy octogenarian during a break in her rehearsal schedule. SN: As one of America's greatest cabaret singers, what drew you to this celebration of Piaf, France's greatest cabaret singer? MM: Well, first of all, I was invited! (laughs) But it's inspirational to me. She had a great passion, and I apply that to my work too. And she certainly was a survivor. I think you hear the dramatic aspect of Piaf's life in her music. She lived every song, and so do I. Every song I do, I live it, and I think that was her great appeal. It was real. It was honest. It had great drama, because she was a very dramatic, passionate, energetic person. Edith Piaf was about the lyrics, and about the connection to the audience. You don't sing for yourself, you sing for the audience. SN: What will you be singing? MM: I never sang in French. The closest I came was when I did Can-Can, in the part of Pistache, and I sang C'est Magnifique, the Cole Porter song. When they asked what I wanted to sing, I mentioned that number, and asked if Piaf had sung it. They said no, she didn't, but it's French! And I'll also do I Love Paris. How appropriate can that be at this point? When we chose it, all this terrible stuff hadn't happened yet in Paris. SN: Do you think that will bring an extra poignance to this show? MM: I think certainly that song will be a tribute to Piaf, and a tribute from us to Paris, and it's lovely that we chose it before everything happened there. SN: Piaf, sadly, had a relatively short career and life. You, happily for us all, have had the opposite experience. You were born in Kansas in 1928, and legend has it your mom started giving you musical training by the time you were three. MM: Well, she was full of music, and even before I was born, my mother decided that if she had a girl, she would be a singer, and she'd be named after Marilyn Miller, who was a musical star in my mother's time. Miller sang Look For The Silver Lining, and that's one of the first songs that Mother taught me. She played great "stride piano", and we did a lot of shows together, a lot of ladies' luncheons, and then I started studying with a wonderful vocal teacher when I was nine. SN: As a teenager in the 1940s, you appeared on the radio and even had your own show. Years later, Steve Allen saw you perform in Kansas City and you made your TV debut. What was that like? MM: It was wonderful. I was working clubs in Las Vegas and Tahoe in the summer, but I always returned to Kansas City when my daughter would go back to school, and I worked at one room for eleven years. We had a trio, and my husband was a brilliant pianist. We did this gig five nights a week, and one night, Steve Allen wandered in and heard me. Then there was a call from him, and I heard that voice, and realized it was THE Steve Allen. He was doing a primetime variety show, and asked me to appear. When I did the last show for him, before he went off the air, an RCA executive and his wife, who were both musicians, saw me... and from that came the RCA recording contract. And from that, came the Johnny Carson Tonight Show. SN: Did Johnny ever say anything to you about why he invited you to appear on his show 76 times? MM: He just thought I was a great singer! (laughs) He nicknamed me "Super Singer", and he would say things like, "And there, young singers, is the way it's done". He would also say "All you young singers out there, get her records, listen to her phrasing". He was musically very hip. When I would work, Johnny would turn his entire body away from the people sitting on the sofa. I've seen other hosts who continue talking with people on the couch while a singer is center stage. But never Johnny. He would turn his entire body and listen to every note. He had respect for the artist. He was very special to me. SN: Of all of the well-deserved praise you've gotten over the years, Ella Fitzgerald's line must stand out. MM: But you should know the context. She said it on both the Johnny Carson and Merv Griffin shows. They asked her, who do you listen to, who are your favorite singers? And she said, "I love 'Sassy' (Sarah Vaughan)... and I love Carmen McRae"... who were both black, of course... "and the greatest white female singer in the world is Marilyn Maye". So that might sound racist, but it wasn't, if you hear it in context. "As should anyone who has ears, I revere Marilyn for her talent, taste, energy, kindness, creativity and longevity. She puts her heart and soul into her art, and is a dynamic miracle". MM: Oh, bless his heart! How precious of him. Not only is he a great entertainer, but he's brilliant. The facts that he carries in his head about the Great American Songbook! SN: Any thoughts about new music these days? MM: I don't listen to much new music, so I don't have any opinion about it. I just know that there are so many young people in my audiences. And I do Master Classes with people in their 20s and 30s who are singing the Great American Songbook. I know that they're certainly picking up on Cole Porter, George Gershwin, Johnny Mercer and all the great composers. And I was just given the "legend award" from the Great American Songbook Society, for the preservation of that music. SN: The title song from Hello, Dolly, which you've done so memorably, so many times, contains the line "Look at the old girl now, fellas!" With your talent still undiminished by age, does it kind of feel like you're triumphantly saying that each time you step on stage these days? MM: I don't think like that. I don't play the age card very much, although in all the reviews, the age is there. I'll be 88 next April. Thank God I have my energy and my health. But I did play the age card when I sang for Angela Lansbury's 90th birthday a few weeks ago. After my song, I said it was a joy and honor to be here, and it's one of the few places I've been where I'm not the oldest one! Angela loved it, and the audience flipped. SN: One of Edith Piaf's classic songs is No Regrets. Might that phrase apply to your life and career? MM: It certainly does. If I had any regrets, I've gotten rid of them. You know, I've had a few husbands! But I've been very fortunate. This is how I've made my living, and my life. I live in the moment, and I have an awful lot of fun. With me, it's always a party, and I try to make my performances a party. Maybe Piaf felt that way too. 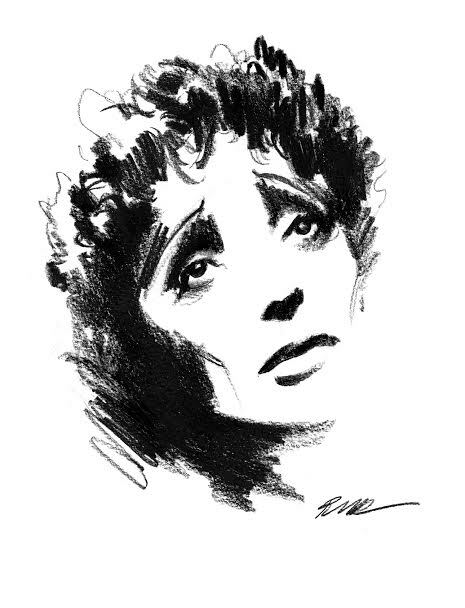 (Piaf: A Centennial Celebration will be presented on Saturday, December 19th, 2015 at 8 PM at The Town Hall in New York City. Tickets available at piaf100.com.